Break my heart even more Isaac, why don't you? This short is an alternate PoV scene from the book Want. 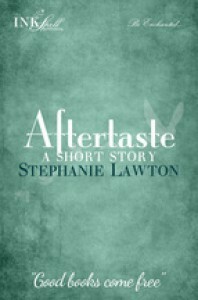 If you haven't read Want yet, I'd wait to read Aftertaste because it won't really hit home unless you know what's going on in the original book. I fell hard for the broken Isaac. Life had thrown him a bad lot and he was unable to fully deal with reality. His feelings for Juli were bittersweet to watch.Inside the closet is a different me : formal, casual, business casual, and work, all on hangers spaced an inch apart, each smelling like the fabric softener I measure out like an antidote. It's always been a habit, but it became a religion the day she buried her face in my shoulder and found solace there.I really wish we could see Isaac's PoV after the book OR...even better would be to get a second book about Isaac and his HEA. I'm sending a beg to the author in requesting this!I'd done nothing wrong. I still haven't done anything wrong.